2015 was the year virtual reality (VR) finally shed its niche status. 2016 was the year that VR made inroads into mainstream life. 2017 was the year VR and AR (augmented reality) finally joined forces. 2018 is the year VR/AR/MR (mixed reality) is ready for the masses. By 2022, the VR/AR/MR industry should surpass $200B. Thanks in no small part to these enthusiastic forecasts of the VR/AR breakthrough, more than $5B has been invested in the development of newer, better hardware plus untold billions for the development of killer apps. The only real money realized to date has been made by market research companies around the globe. They keep developing super enthusiastic forecast reports that say the technologies are on the cusp of humongous growth and that within 3–5 years sales are going to be outta’ sight. On the other hand, a game industry friend (investor/player) said, "It will always be a niche. People won’t walk around wearing the headgear to play games or immerse themselves in movies." So, we said, "Two–three years ago, would you have said people will spend their waking, walking, working, relationship hours with their eyes glued to their phone and with white things growing out their ears?" Sure, the holy grail of VR/AR have always been in games and entertainment, but they are far more useful. The technologies’ initial success (and profits) have been far less exciting –– training, marketing, product design and more. To date, the technologies are most widely used in training and education (37 percent), 25 percent in branded experiences (marketing) and 22 percent in medical and healthcare. Marcelo Lewin, howtocreatevr.com, has been doing an outstanding job of showing and helping firms use and get more out of the technology. A long time ago, Gartner perfected this elegant idea that technology goes through cycles – periods of hype, let down and normalcy. They just dust–off last year’s chart, move the dots a little and reality returns. VR was sorta’ introduced in 1838 when the Wheatstone Stereoscope appeared on the scene. It wasn’t until Ivan Sutherland showed us the HMD (and associated software) in 1968 when NASA was seeking a way to train astronauts for the uncertainties space travel. Take Me There – Coinciding almost perfectly with Ivan Sutherland’s development of the first head–mounted display (HMD) system, NASA was beginning its program to explore space. VR was a great way to simulate what people might encounter beyond our atmosphere. It has been the software developers, not hardware makers, who have driven growth in the VR arena. They’ve been able to transform a cool technology into a solution that will help organizations reduce the time/cost of delivering solutions; and, in many instances, reduce injuries and the loss of life. Strategy Analytics estimates that today’s professional market is worth about $2B annually. Here are concrete examples of the technologies success. From the moment an aircraft company begins designing and developing a new plane VR is used to develop and test ideas for the thousands of systems that get (and keep) the aircraft in the air. All of this pre–development, testing, modification and worst–case scenario validation have made air travel one of the safest and most reliable forms of transportation we have today. Practice – Before aircraft pilots take control of a multi–million–dollar aircraft, they spend hours at the virtual controls in normal flight as well as worst–case scenarios. Sure, my kid has a couple of different flight trainer and air–to–air combat games he plays from time to time, but they all are offshoots of serious training programs flight crews use to hone and maintain their skills to get people and products from point A to point B. Sure, the guy or gal who wears wings has the job kids dream of but it’s the folks on the ground who bring it all together. And according to my brother–in–law, a retired flight line crew chief, it’s the maintenance crews that make flying so carefree. Specialists for every model of aircraft the company flies and specialists for every system know these crews study and work on everything virtually before they get hands–on experience. To them, VR isn’t a game … they usually don’t get a second chance to correct something. Long before we had the thrills of Gravity and The Martian, countries were racing to be the first to conquer space, visit the Moon and plan our trip to Mars. NASA and global space agencies were all in a race to break the bounds of gravity and travel into the vast unknown, but it wasn’t as simple (or foolhardy) as strapping someone to a rocket and hoping for the best. Since the beginning, the space agency has used ultra–powered systems, libraries of big data, AI (augmented intelligence) and VR to develop/test systems and entire space vehicles. Then, they rigorously tested pilots, ground controllers, service workers and engineers to minimize dangers. Despite all the training and attention to every detail, disasters do strike, as the US found with the launch explosion in 2016. But still, people stare into the night skies and wonder what’s out there and what will we find? In addition to virtual space stations to test the quality of life and mental health of astronauts on longer–term missions, space agencies are preparing for the trip to Mars … and beyond. Outer Reaches – Andrew Shulkind has worked closely with NASA and its SpaceCraft VR program to enable people around the globe to experience space travel. For almost two decades, Andrew Shulkind has been at the leading edge of VR technology and filmmaking. He’s become the "go–to" expert on the future of entertainment; bridging immersive content, advertising, cinematic quality, gaming and mixed reality. A rainmaker for both Hollywood and tech firms, he is extremely proud of his advisory fork for SpaceCraft VR a NASA–sponsored interactive infrastructure for space exploration that is being used by engineers, scientists, educators and just regular folks who want to explore the virtual possibilities. VR in the transportation industry has changed virtually every process for design, safety and purchasing. Designed to Drive – Auto designers and engineers have been using VR for years to create new systems to virtually field test cars with prospective customers. The realistic elements of VR have enabled engineers, designers and managers to see how various systems and entire vehicles will look and function without having to build multiple models. They can replicate the roads, highways, streets and complete environment for safety and performance trials without spending valuable time and money in actual trials. The benefit to all this is that Ford can get a jump on the product develop process without having to wait for a physical prototype of a new model. As vehicle manufacturers develop new assisted and self–driving concepts, they are able to virtually produce simulations of HUDs (head–up displays), vital driver information and even driver distraction like ringing cellphones and passenger interaction to make driving safer. As we move to autonomous driving, they can virtually create sensors for pedals, steering wheel and systems to monitor activity inside and outside the vehicle to simulate the total vehicle experience … safely and economically. Major manufacturers including BMW, Ford, GM, Honda, Volvo, Lexus now offer virtual and sometimes long–distance test drives without the vehicle or customer ever leaving the showroom. Test Drive – Without even leaving the dealer’s showroom, CreamVR produced a series of VR mini–travelogues to allow potential Lexus customers to "drive to" and visit areas of interest. For example. Toronto–based Cream completed a series of virtual road trips for Lexus to highlight their marketing theme – innovation. They did VR shoots across Canada and the U.S. including massive solar power plants in Arizona. Cream’s creative director, Andrew MacDonald, said the projects (segments for social media, in–showroom use) let people sit in the car and "visit" locations in Canada and the Southwest U.S – tinyurl.com/ya6rebp2. The project was typical of every film with a tight budget – time and financial. "Plus, it had to be done right –– especially with our Arizona shoot," he recalled. "You don’t want to reshoot the segment when temperatures easily hit 110 degrees." "You definitely didn’t want to have to go back and put your body through that kind of torture, especially when you’re used to Toronto weather," he added. MacDonald noted that Lexus has been an early adopter of VR as a medium and has made heavy use of the VR spots across the Americas. "Good marketing video content that is produced with the audience in mind produces results you can see, results you can measure," he emphasized. We’ve never been real excited to hear a person practice medicine. Oh, it’s okay they practice on you, but us? Virtual Operation – Increasingly, surgeons conduct precision cutting/stitching by "practicing" on virtual bodies. We know these professionals must learn by doing, but doing it with a VR HMD until you’ve perfected what you’re doing seems so much nicer. It’s great for students as well as experienced physicians who are performing new or high–risk procedures and its better for the person on the table. Surgeries can be viewed from 360 degrees and in real–time and even around the world with such aps as Medical Realities. Students can watch VR surgeries and can even dissect VR cadavers. A British cancer surgeon, Dr. Shafi Ahmed, who specializes in laparoscopic (keyhole) colorectal surgery; co–founded Medical Realities to use immersive technologies to solve the big problems in surgical training by providing virtual training to specialists around the globe. VR is also increasingly used to help psychiatrists treat patients with issues of the mind. They are increasingly using VR in cognitive behavior therapy when patients have social anxieties or phobias to improve their mental wellbeing and successfully interrelate with the world around them. 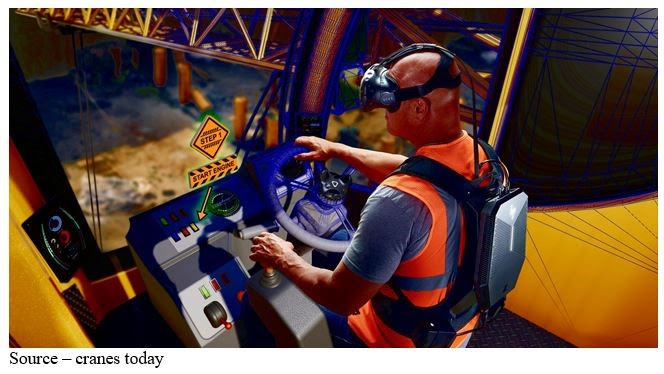 The use of VR in the business and industrial segments provides the fastest return on investment for companies in getting people integrated into the company, its policies/procedures and training folks to work safely with the equipment/systems they use to produce goods. 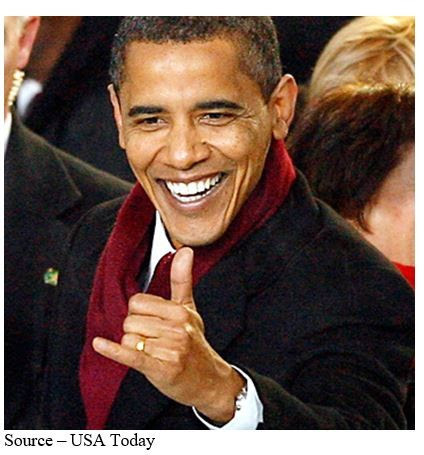 Of course, if Hawaii’s sugar industry had been using VR for training the famous shaka sign might never become a world standard greeting for surfers and regular folks. A World of Smiles – Almost everyone on the globe knows the universal sign of hello, good–bye or just hang loose. Even former President Barack Obama understands how to make people smile. Local lore is that Hamana Kalili lost the three middle fingers of his right hand while working at the Kahuku Sugar Mill. It wasn’t long before everyone was using the shaka as a way of expressing friendship, understanding, compassion and in saying hello, goodbye. Fortunately, for most workers today, VR training is a less painful way to get experience. Tough Precision – People don’t suddenly get up in the morning and say they’re going to be a heavy equipment or crane operator. It requires a lot of virtual training and practice. VR and AR have become widely used tools to train people in the proper way to operate heavy equipment and work around dangerous systems. They are also great ways to educate and guide technicians in the field when working around electrical and dangerous systems such as the oil and gas industry, utilities and heavy equipment industries. For years, VR and AR have brought static phrases in books to life, making learning for students in K–12 grades (and beyond) come to life. Students can put on their HMDs and take virtual field trips to interesting, exciting locations around the globe. They can explore our solar system, learn the effects of global warming and gain a better understanding of different cultures and people in distant lands. In addition, they can bring history to life and explore the possibilities of the future. They can use immersive games to problem solve their way out of prickly situations while sitting in the comfort of the classroom. In other words, the use of VR/AR in training and education are limited only by the visions, imagination and capabilities/expertise of the software creators. Industry experts constantly forecast the amazing success and death of VR/AR/MR/XR in the next 3–5 years (they do this every year); but we think a recent move by Vive could be/should be a program that will drive widespread acceptance of VR and its brethren. More than Books – Today’s libraries are more than just a place to store and use books. With VR, people young and old can visit faraway lands, experience the past and future and become interested/involved in learning more. This year, they announced a library program that will eventually place VR installations in more than 500 libraries in California and Nevada. 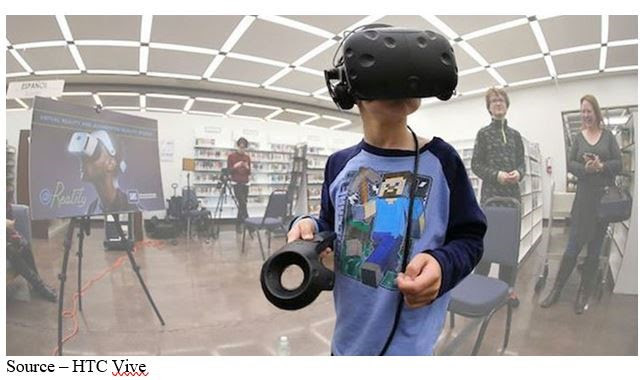 Done in conjunction with XRLibraries and CALIFA, the program brings VR to library goers so people (especially kids) can use the systems to explore new frontiers and learn immersively. Anyone who immerses themselves in a VR game or film realizes it is an exceptional experience. Years ago, Apple found that if you place computers in the hands of students at school, they go home and work on their parents until they give them the educational tools they just have to have. They may not have the money to spend themselves, but their influence cannot be denied! These are just a few of the markets where the VR family is being used every day. We haven’t even touched on applications like architecture, construction, real estate, law enforcement/military training, tourism, and more applications that aren’t breathtaking, adrenaline pumping. They just help people do more, do their job better and maybe, along the way, have a little bit of fun. 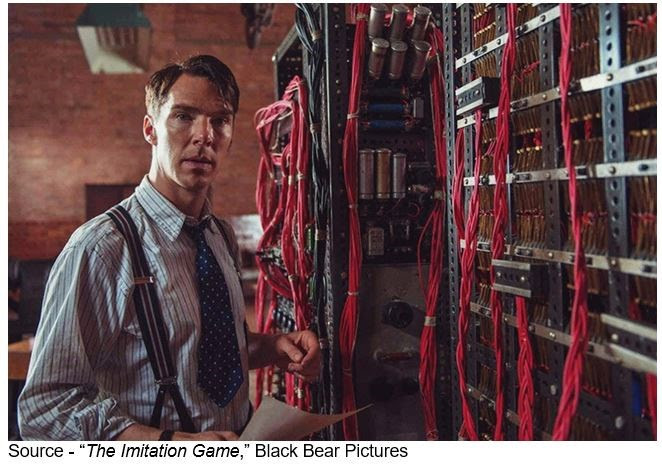 As Bob O’Donnell, of TECHnalysis research, said, "Gaming and immersive films are important, but the primary reason of buying/using the technology is to have new and better experiences." The consensus is that virtual and augmented realities will have a bright future because they replicate sensory experiences and put the user safely into a computer–simulated reality … that’s a good thing. Still look dorky with a headset? They’ll get better; and who knows, someday you may think they’re as cool as the white buds protruding from your ears. The technology is already a $2B+ industry. That may be a rounding error for Apple, but for the rest of us … that’s serious money! And the games/films are getting better. Knock VR/AR if you want, but just remember what Alan Turing said, "Do you know why people like violence? It is because it feels good. Humans find violence deeply satisfying. But remove the satisfaction, and the act becomes … hollow."